What is a documentary? What are its aims, ambitions, and responsibilities – to its subjects, to its audience? To what degree is it permissible to shape the realities on display, rather than stand back as much as possible from the events depicted? Is it even possible to extricate a filmmaker from a film? Is it desirable? Is filmic truth bound by what we think of as journalistic ethics? 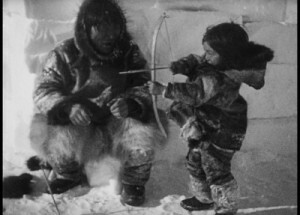 Nanook, one of the first 25 films selected for preservation in the National Film Archive, is Flaherty’s chronicle of a season in the Arctic with an Inuit family. We watch Nanook (actual name Allakariallak, one of many liberties taken) as he hunts salmon, seals and, in a memorable scene, a walrus. We visit a white trading post with the family to trade for spears and other supplies. In the film’s most celebrated sequence, we discover how an igloo is built from the ground up, complete with a window. In the tradition of Western ethnography, little happens apart from the machinations of day-to-day life, or what the film would have us believe to be day-to-day life for these people. It’s by turns brutal and tender, and often rather boring, but there’s no doubt it presents a series of “exotic”, nearly alien images of a landscape and way of life that had never been caught on film before. Of course, that way of life was already on is way out when Flaherty and his crew arrived. 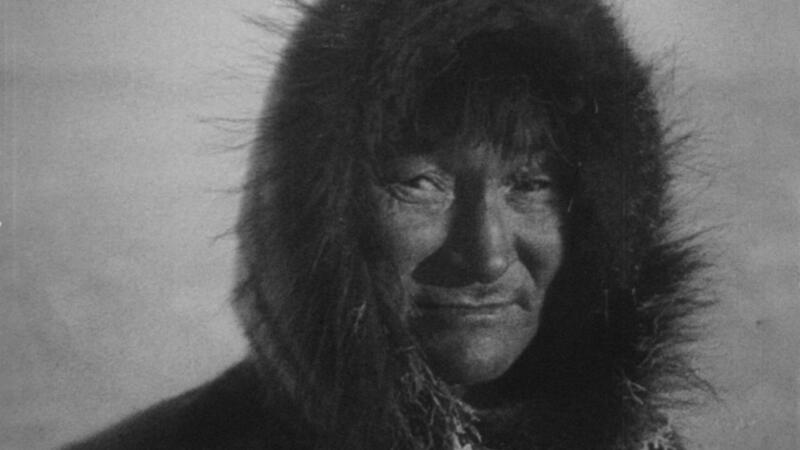 Many of the sequences were reenacted by Allakariallak and his “family,” none of whom he was actually related to. (In fact, one of his “wives” was actually Flaherty’s common-law wife, a rather problematic discovery.) The Inuit stars wore traditional garb for the camera that they wouldn’t wear in real life. Rifles had already been introduced and largely replaced the ubiquitous hunting spear that Flaherty seems to exalt. Several of the hunts were entirely staged. During the visit to the trading post, Allakariallak pretends to be amazed by a gramophone, even curiously biting on a record in wonder, in a rather insulting portrait of the naive native. Even the famous igloo sequence isn’t immune from this: upon discovering that there wasn’t adequate light to shoot inside an actual igloo, and building a larger one led to its collapse, Flaherty and his team instead created a three-walled version for “interior” shots. And on and on. These liberties – and outright fabrications – have their critics and their defenders. For one thing, while we now expect that a documentary filmmaker will not entirely stage scenes and present them as recorded truth in the moment, Flaherty had no models on which to rely. In the process of inventing the documentary, he simply doesn’t seem troubled by them, and at no point does it feel exploitative, exactly. If anything, his clear affection for his subjects and their culture, or at least his interpretation of their culture, is what shines through. 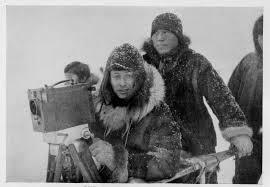 Allakariallak was an enthusiastic collaborator on the project, and dailies were screened for the cast and (largely native) crew. There are moments when they turn directly into the camera and smile with a wink – no one is being fooled here. 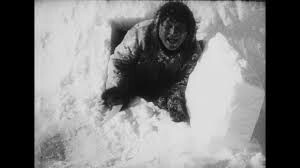 And, indeed, “Nanook” became something of a star on the film’s release. What makes Nanook of the North extraordinary is the sense that a genre is being created on the fly. Instead of a depiction of banal “actualities” that served mainly to advertise the camera, and instead of a narrative feature rooted in the world of fiction, Flaherty traveled to the far ends of the earth to make a hybrid. Nanook means to record something like everyday life for a particular community, but to do so with a narrative sense, and with a protagonist. Interestingly, the director made an earlier version on an earlier trip, but, upon returning, discovered it wasn’t compelling at all – just a collection of vignettes with nothing tying them together. (This version is lost: Flaherty dropped a cigarette on the nitrate film stock, underscoring the incredible fragility of early film.) In what now seems an obvious insight but at the time was anything but, he realized that a focus on a single person and his world could be more engaging and illuminating for audiences – someone we could relate to, and a structure on which to hang the various loose threads of observation. It would be, basically, a movie, just one with real people in it, in a real place most of us don’t get to see, doing things they (sometimes, maybe) ordinarily do. In 1922, that was revolutionary, and we’re still grappling with the ethical and aesthetic questions Flaherty was instrumental in raising, whether he knew it or not. One final note, aimed square at the animal lovers in the crowd: this was a particularly tough watch for this particular vegan cinephile. With the incredible igloo-building sequence aside, Nanook is essentially an hour and a half of watching depictions of hunting, skinning, processing, and storing animal carcasses. This is understandable, since these things do and did occupy much of the time for people like the film’s subjects, carving out survival in an unforgiving land, and one in which nothing much grows at that. But you might want to steel yourself, because the constant killing really never stops until the closing frame.